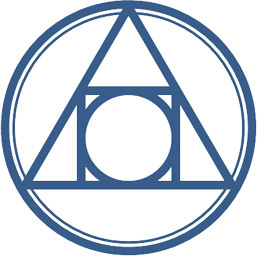 The ‘squared circle’ or ‘squaring the circle’ is a 17th century alchemical glyph or symbol for the creation of the Philosopher’s Stone. The Philosopher’s Stone was supposed to be able to transmute base metals into gold and perhaps be an elixir of life. Philosopherstone (PHS) – a fork of Diamond, with several algorithms fixed and improved. It is decendent of Novacoin/PPCoin with Pow/PoS. It combines the great features from Luckycoin (random blocks) and Florincoin (transaction message), is launched! No Premine! There were a couple of new PoW/PoS coins launched recently, most have problems with PoS generation. Either we see zero-coin PoS blocks generated, or the generation is not accurately reflected in desired PoS percentage. In Philosopherstone we fixed these issues, and after 5 days the PoS blocks will be generated reflecting the precise interest rate defined by the coin (in this case 50% annual interest or 3.44% monthly interest). Proof of stake coin is more secure and is much more resilient to 51% attack. Since 51% hashpower is not enough to execute the 51% attack. The attackers must also have at least 51% stake in the coin. Philosopherstone provides annual interest rate of 50%, for stakes that are not moved during the period. This equivalent to 3.44% monthly interest. PoS blocks will be generated if the stake is held for more than 5 days.